It may be the new year, what better time that to realize that It is never too late to combat the signs of aging, or even help reverse some of them. Now is the time to bring out your most beautiful skin. 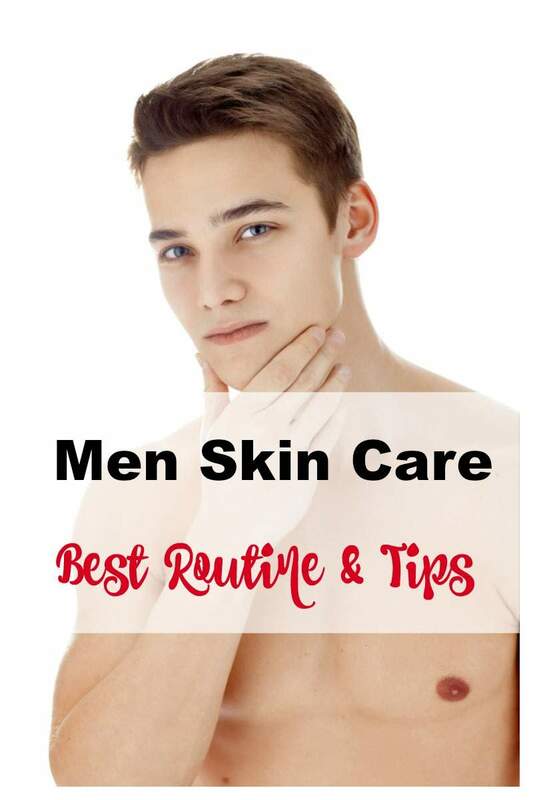 When shopping for a moisturizer we can get overwhelmed with all the choices, especially nowadays when every beauty product seems to claim that it is the best anti aging skin creams. Each one specifically formulated to combat a wide variety of signs associated with the skins aging.We all realize that as we age our skin tends to get to be dry so if we need to nourish the skin and what better way to do it, is to have the best anti aging skincare. 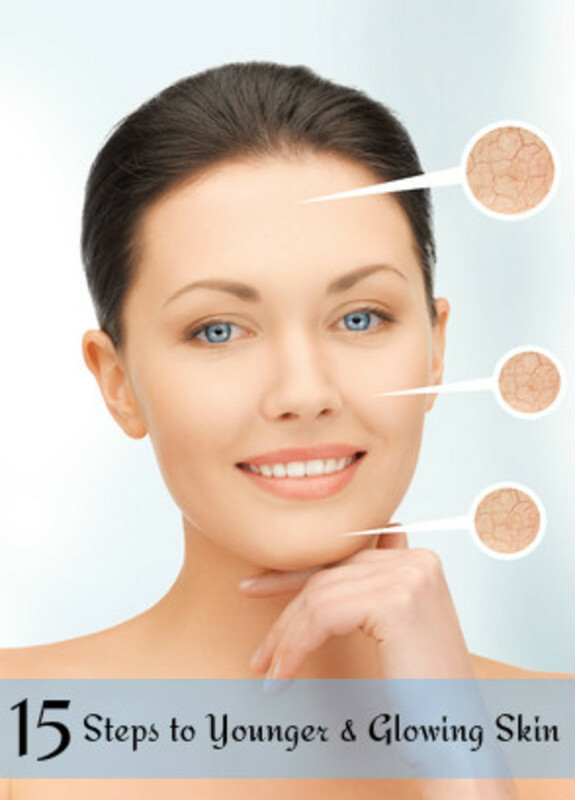 Here you will find the best products to reawaken younger looking skin. In no time you will see a more uplifted and defined appearance as you will be minimizing the visible signs of collagen loss. 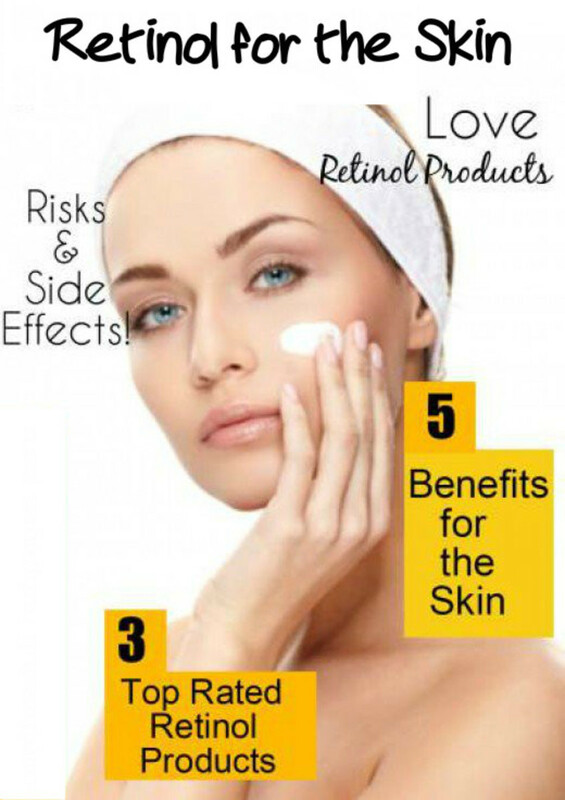 Anti aging Retinol creams skin and that is the basic start. You will instantly feel your skin becoming incredibly soft and smooth. Wrinkles be gone with a renewed firmness and more resilient skin that awaits the younger looking look. Say goodbye to wrinkles, pores no more with the best anti aging creams. 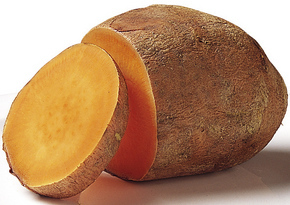 VITAMIN A - has antioxidant properties that neutralize free radicals in the body that cause tissue and cellular damage. Are considered a good antioxidant for anti aging creams in some of its various forms, particularly as retinol and retinyl palmitate. An "antioxidant" isn't a type of ingredient in anti aging creams, but it is a function that a specific ingredient can perform on the skin. Antioxidants are substances or nutrients in our foods which can prevent or slow the oxidative damage to our skin. When our skin cells use oxygen, they naturally produce free radicals (highly reactive molecules) which can cause damage. Antioxidants act as "free radical scavengers" and therefore they can prevent and repair damage done by these free radicals with the best anti aging cream. Pollution, smoking and over exposure to the sun can accelerate these free radicals and as there is no cure yet for either of those we need to defend against with applying a good anti aging cream. Wrinkles appear when the free-radical damage originates from natural environmental factors and fails to be canceled out by some amount of antioxidant protection. If we don't get enough antioxidant protection, either from our own body's production, from dietary sources, or from antioxidants, including those we put on our skin, free-radical damage continues unrestrained. 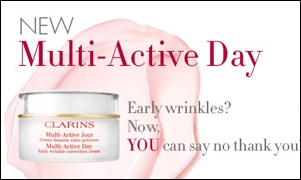 All the more reason you need to find the best anti aging moisturizer that will work for you. VITAMIN C - A powerful antioxidant that protects against cell damage! A helpful adjunct or an alternative to Retin-A in the treatment of fine wrinkles, and a stimulant to wound healing. Ascorbyl glucose - a form of vitamin C combined with glucose. It can function as an antioxidant. This vitamin is known to be one of the most powerful anti-oxidants, which can help prevent free radical damage caused by the environmental factors like the sun and pollution. It is found more and more in skin care treatments to ward off damage. A great day cream comes from one of the best names in cosmetics is Skinceuticals. Look for the one with ferulic acid. Its the best in that combines the proven antioxidants vitamins C & E , for together they work to maximize your skin's antioxidant performance. By law the first inexpedient is listed on a label should have the highest concentration n the formula. 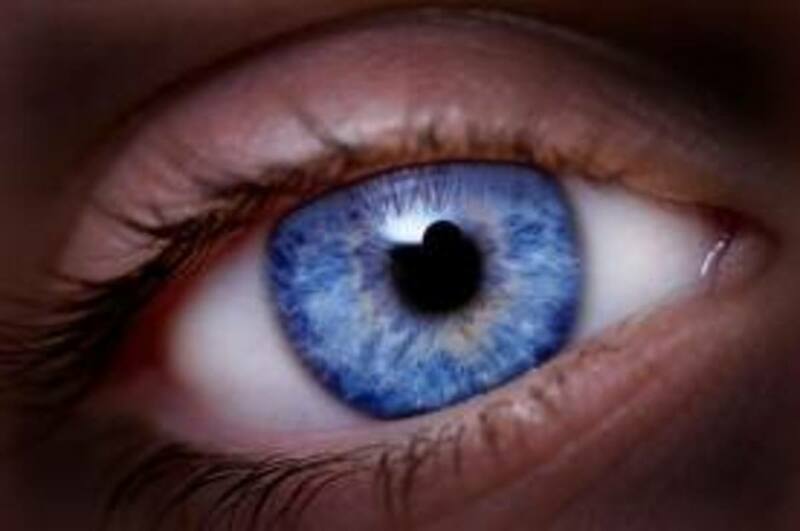 The word "active" means an ingredient works beneath the skin's surface to produce visible changes. For it to work it needs to be used regularly and protected from air and light. Flavonoids : are a diverse group of plant pigments with antioxidant properties. These substances are responsible for color in many fruits, vegetables and flowers. Just think of flavor when you see this in skincare products. 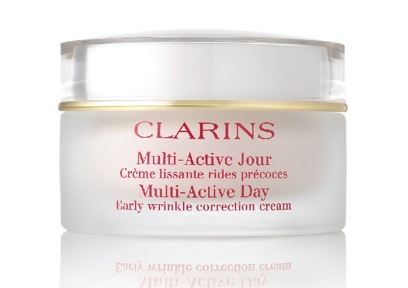 Thanks to Ambiaty, a healing plant found in Madagascar, this beauty cream from Clarins helps to stimulate skin support structures that ensure its youthfulness by correcting early wrinkles and fines lines, restoring freshness and tone. With long lasting protection against anti aging, Hesperidin, a powerful antioxidant provides continuous protection all day long. For an extra boost, when times are busy and the skin lacks life, try the Multi Active Skin Renewal Serum. It boosts cell renewal and minimizes age spots. Both products have a wonderful clean fragrance and velvety rich texture. However, if you prefer a lighter texture, it comes in a cream gel too both will bring out younger looking skin. This anti aging skin care cream visibly reduces appearance of fine lines, wrinkles and age spots, softens and smoothes skin and is dermatologist recommended. 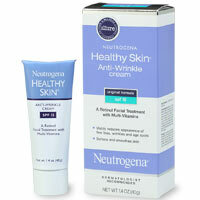 Neutrogena Healthy Skin® Anti-Wrinkle Cream is a daily moisturizing cream clinically proven to start to visibly reduce the appearance of fine lines and wrinkles and in one week you will see beautiful skin. It also helps prevent premature signs of aging from the sun for healthier, younger looking skin. Visibly reduces the appearance of fine lines and wrinkles by building collagen citing Vitamin C, Vitamin E and retinol. Philosophy skin care products are a way of life for the thinking mind and feeling heart in search of simplicity and balance. To witness a miracle is to know yourself. Vital, brilliant, heavenly in body and spirit is how Philosophy skin care products are geared towards bring out younger looking skin. 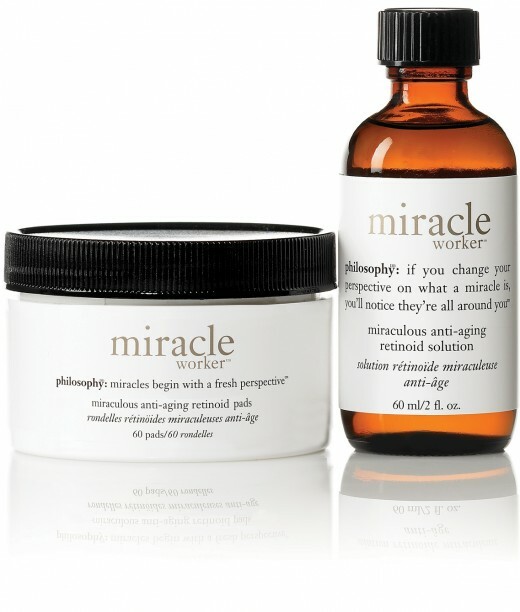 Miracle is another new breakthrough in skin care technology from Philosophy. These anti aging retinoid pads feature cutting edge retinoid technology clinically proven to significantly improvement in the appearance of wrinkles, discoloration, pore size and dullness. Clinical results show after 1 week, noticeable results in smoothness and clarity. after 4 weeks, visible results in skin discoloration and dullness. and in 8 weeks, participants showed significant improvement in the appearance of wrinkles and pore size. For fine lines and uneven skin tone. Help me from Philosophy is made to reinforce skin rejuvenation & cellular repair process. Helps refreshes revitalize dull tired skin. Contains stable form of Vitamin C to brighten skin tone Plus retinol to reduce fine lines wrinkles & clogged pores This vitamin C skin care product contains powerful antioxidants to combat photo damage and boost collagen production. Leaves skin firmer smoother & more youthful. Vitamin A, Vitamin C and Vitamin E erases wrinkles. 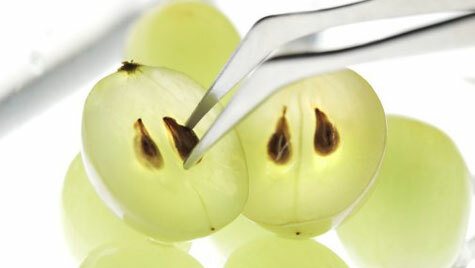 And it is a powerful antioxidant booster that will normalize dry, scaly skin and offers a youthful look. Concentrated Retinol anti-oxidant cream is a dynamic line-erasing hyper-pure form of Vitamin A, Vitamin C and Vitamin E.
Apply to thoroughly cleansed and conditioned skin. It may be used alone or under any Epicuren Facial Moisturizer or Sunscreen cream resulting in a more beautiful skin glow. Natural rose oil will hydrate the skin without clogging the pores. Epicuren is an amazing antiseptic, calming, soothing, healing tonic for the skins capillaries. It is a cell re-generator and an anti-depressant while it permeates in a way to allow the skin to breath and produce collagen. The perfect essential oil we should all have in our skin care regiment. Epicuren is a system of enzyme skin care made up of water-based fresh enzymatic-infused gels and lotions that go far beyond the spectrum of normal skin care. This is a wrinkle zapper that you will be amazed with. Ever start using a product that has been out there and you wonder what took you so long to find it. This is one of them! Retinol is pure and active Vitamin A and it is known as one of the best treatments when it comes to erasing wrinkles and leaving your skin looking firmer and smoother. Powerful anti wrinkle creme with anti-oxidants to help defend your skin against free radicals and all the elements that compromise the health and look of our skin. Say good bye to wrinkles and dull lifeless skin. You can revent and improve the visible signs of premature aging caused by the environmental damage and oxidative stress by using this best anti aging cream daily. 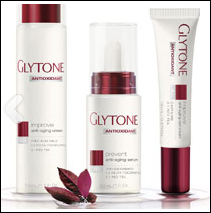 Buy Glytone Anti Aging at its Best! Glytone Age-Defying Antioxidant Eye Cream with Caffeine and Red Tea Flavonoids to Lessen Appearance of Dark Circles & Puffiness, Brighten, 0.5 oz. The Dr. Brandt skincare line represents the fusion of science with active botanicals by combining sophisticated delivery systems with the power of vitamins and botanicals. His product line contains potent key anti-aging botanicals such as: green tea, white tea, and grapeseed extract. It is an innovative skincare line that delivers maximum results in minimal time! 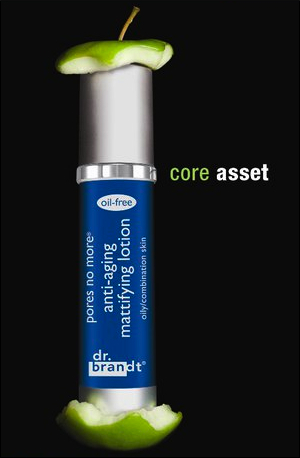 The NEW 'pores no more anti-aging mattifing lotion is an oil free moisturizer that refines pores, mattifies shine and improves the appearance of fine lines and wrinkles. It is a multl tasking formula that combines a stabilized retinol with apple stems to treat the visible signs of aging. It is a shine free finish and will keep you younger looking over time. Top Skin Care Products Dermatologist Recommended at Drugstore Prices. One day I woke up with what seems like the worst skin next to an elephant. 50 years old marked a drastic change to a once vibrant, supple, wrinkle free and youthful looking skin. At this age, products that once worked, all of a sudden seemed to be ineffective. At the advice of skin care specialist they advised that I use a product with collagen. After reading the many positive reviews about the Lady Soma Renewal Serum,I ordered it online and gave it a try. Amazing how quickly this serum works within days I noticed a drastic difference in my skin's appearance and texture. The brightness and texture of my former years have returned. I'm delighted and proud of the success I've achieved with this product....does the job and works wonders. My skin is beautiful, bright and youthful looking. I highly recommend and good luck! proton66 - thanks for the vote of confidence here. 32 lines of skin care , interesting in that for a second I thought you were talking about the 32 teams in the NFL! Wavegirl22, have you seen www.finallyachange.com? Loreal makes their 32 lines of skin care products. What is your take on minerals from the Dead Sea, and half a billion on retail sales in the last 5 yrs? If you are interested, you know where to find me. btw, your hub is great! hi can u help me by giving idea about how to evaluate antiageing creams. This is a hub to be bookmarked and shared with others. I guess this is the best review of anti aging products for 2011 I found up to now. Hi. Excellent & descriptive review. L'Oreal Dermo-Expertise Age Perfect Pro Calcium Day Cream is my favorite. stephensaldana - always great to start the day with a new friend and a giggle! Thanks for the support and I am glad that you liked it! 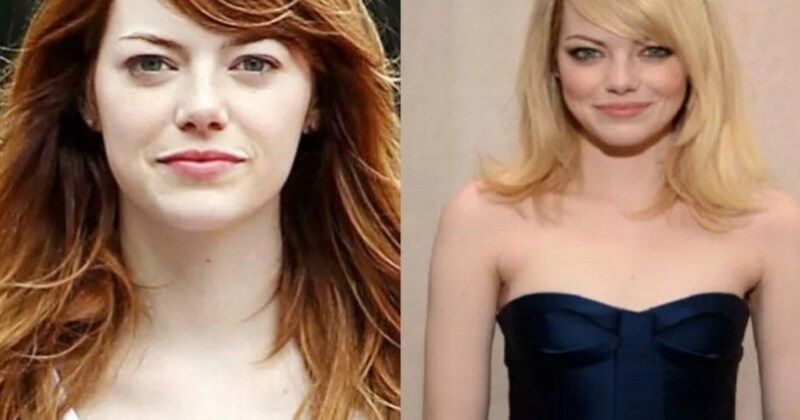 Anti-aging products.. greta.. but tell me does it really works! I mean I need one lol.. People say that I am growing old.. wrinkles are visible.. hahaha jokes apart... good hub.. This is an excellent selection of anti-aging products. I think this hub is excellent. Wow, That would be great. I would love to read it. Infact I would print it out as I have done 4 of your other hubs for my mom. She loves reading it on paper and also she will be boasting to her friends that my daughter knows this author and etc etc. But for the first time I won't mind as you are something to be proud about. Anyways let me know when you published tat hub, I would check it out!! ~ englightenedsoul - your words are too kind! And I am glad that at least someone in your family can use this one! But now you have given me an idea to do a Hub on how to care for beautiful 20 year old skin .. you know they say it is never too early to fight the free radicals! ~ anglnwu - and dough is what we need for some of these products. . but anything to stay beautiful! Glad you liked it and always need a little 'Jia Yu' for my day to be complete! This is excellent and I will be passing it around! Thank you so much wavegirl for the info, reviews and all the hard work and knowledge you put into this hub! Bookmarking it! Shari, what a great selection of anti-aging products. We can always count on you to give us the heads up, you beauty girl! Now, for more dough to run out and buy them all! Should have thought of that and join the 60 day hub challenge. Well, too late...Anyway, here's Jia Yu to you! Every time I think you have hit the pinnacle of perfection in laying out your hub, you always prove me wrong. It is a excellent hub(infact excellent is too small a word) with wealth of information and perfectly laid out. Infact makes me wanna buy something, but only 20 years so not aging. But this would be recommended to everyone in my family. My mom is going to love this. She is very particular about her looks and health. Keep up the good work. Wavegirl - you have set a standard of excellence for others to follow with this hub examining anti-aging products.